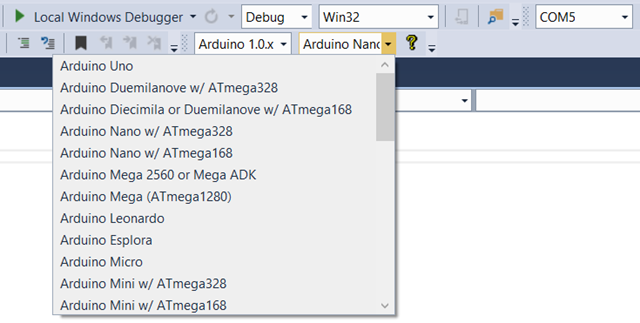 Well, because I got bored using Processing based default Arduino IDE, I have installed Visual Micro a very rich Visual Studio extension that offers you a fantastic integrated environment for Arduino based development that boasts powerful debugging capability, that too is free. In today’s post, I would like to keep a record of how I have assembled a car chassis and made two DC motors move forward and backward controlled by an Arduino Uno and driven by a L293D IC. I have bought Magician Chassis that comes with two DC motors. A DC motor is simple and its capability is also limited, such as moving forward and backward at a specific speed. The L293D IC can set a speed to two motors at a time and change their directions when needed. I have passed unregulated voltage to the motors and I didn’t care; I just wanted to get up and running with the motors, hence you may expect this setup may damage your motors if you run for a long/little while. 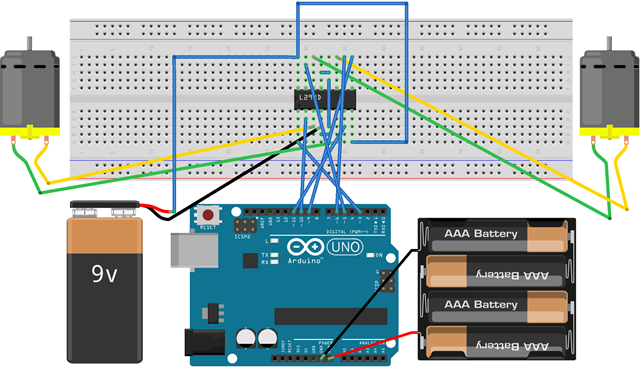 I’m also powering the motors as well as the L293D IC with an external 9V battery in order to draw less from the Arduino while I am giving the Arduino only 6V via 4 x 1.5V AA batteries. The IC will specifically run the motors with the power applied at its VSS (Pin 16). I have previously mentioned that Pin 1 and 9 are Enable pins and they will allow us to control the speed of the motors as well. Therefore, these need to be connected to Pulse Width Modulation (PWD) ports of an Arduino because we need to be able to pass analog values between 0-255. 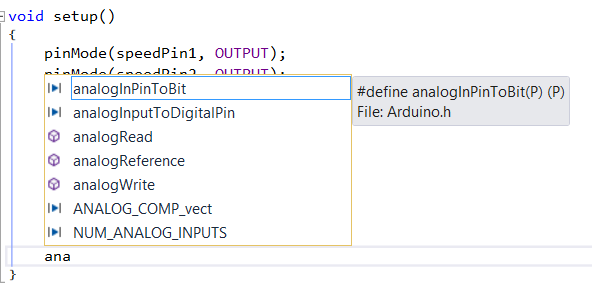 Notice the following Arduino setup of all the components along with Pin 1 and 9 of L293D. Here’s the code that runs the motors forward. If you would like to run it backward, just pass false instead of true into the move function that was written below. You will also notice that I have specified speed = 255 which is the max, and min = 0. 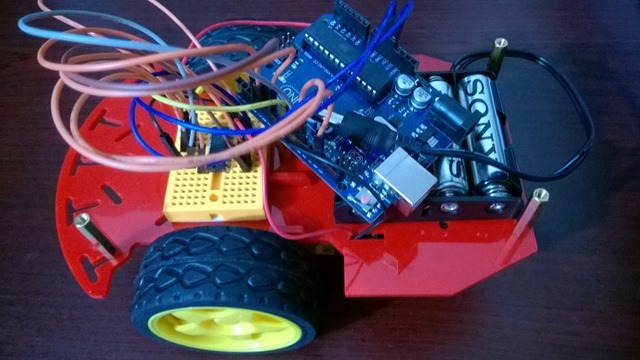 This entry was posted in Internet of Things and tagged Arduino UNO, DC Motor, L293D, Magician Chassis, Robot, Visual Micro, Visual Studio on November 14, 2014 by Tanzim Saqib.